Camping pods in the Peak District. 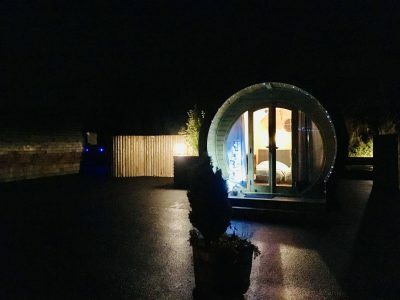 Camping pods with hot tubs. 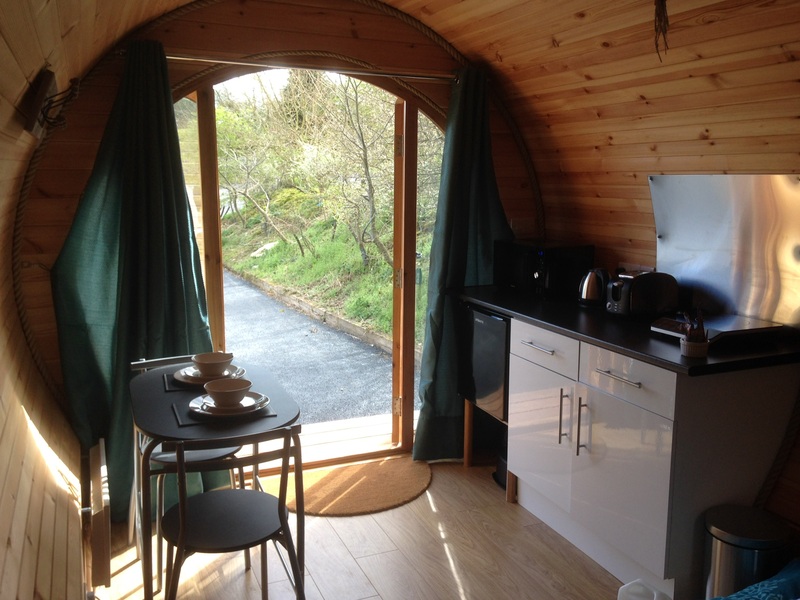 There’s no need to leave home comforts behind when you go camping in the Peak District in one of our wooden camping pods. 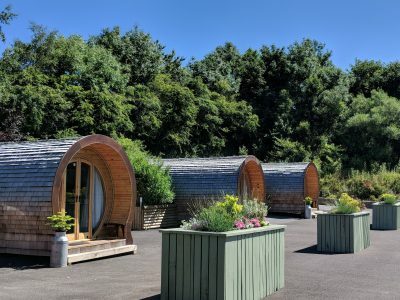 Our hand-built spruce pods are just for couples and nestle just behind the farm buildings, in a peaceful, sheltered setting bordered by trees and flowers. 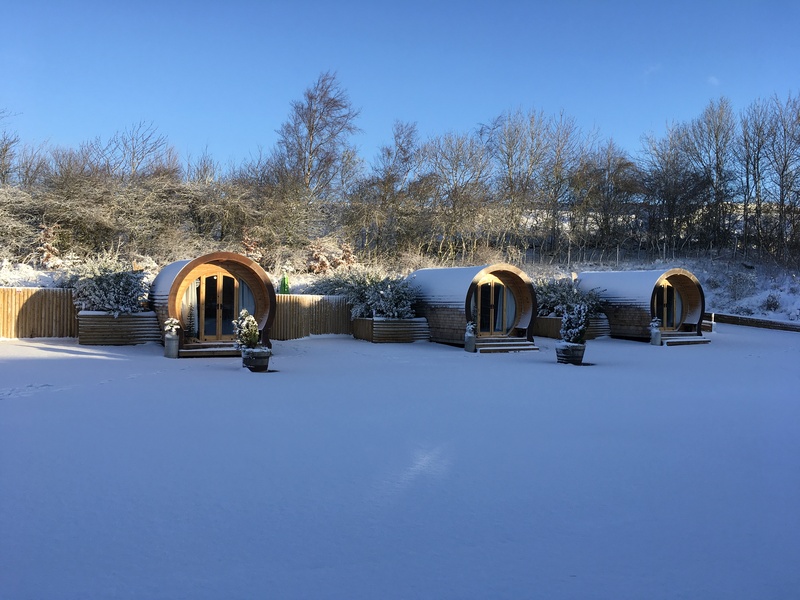 This means that you can enjoy the ultimate outdoor experience with the convenience of home-from-home comforts such as a kettle, microwave and real beds. There is a raised fenced deck behind each of the pods, complete with its own hot tub and gas barbecue for romantic evenings out of doors. 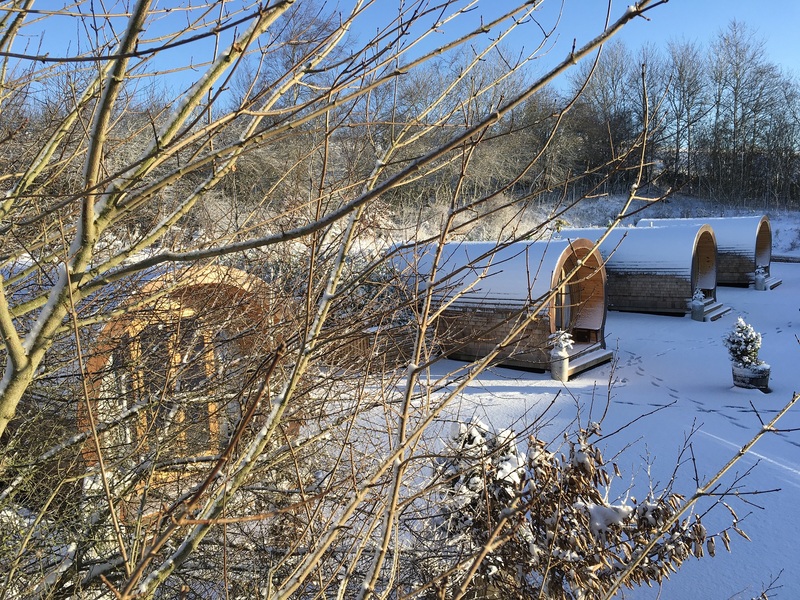 Enjoy the tranquility of the countryside and stargaze from the warmth of your own private hot tub! When you book one of our camping pods with hot tubs, you get access to all the shared facilities on our campsite. These include hot showers, pot washing facilities, toilets and more. You can also order takeaway breakfasts (now with croissants!) between 8 and 9:30am, to take on your daytime adventures, and pizzas on your return. 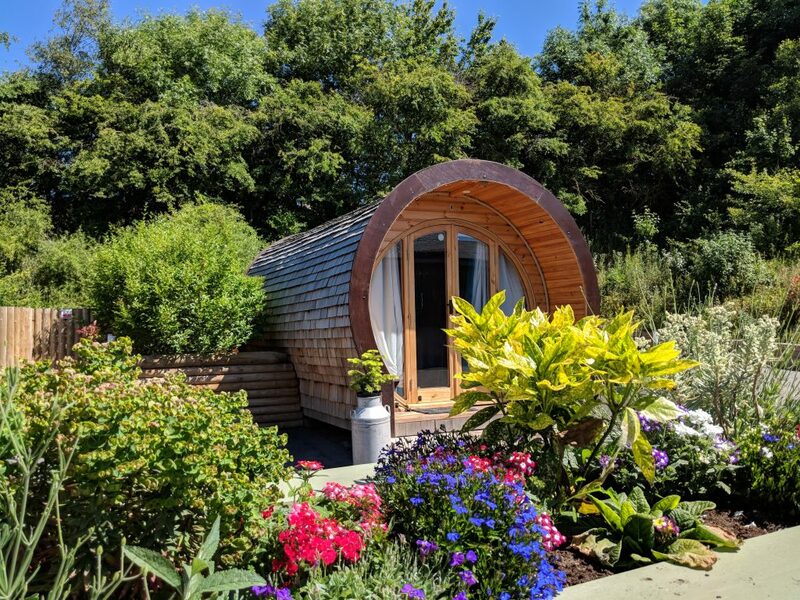 Book your next holiday in one of our top-quality hand-built camping pods with hot tubs, made from sustainably sourced wood. 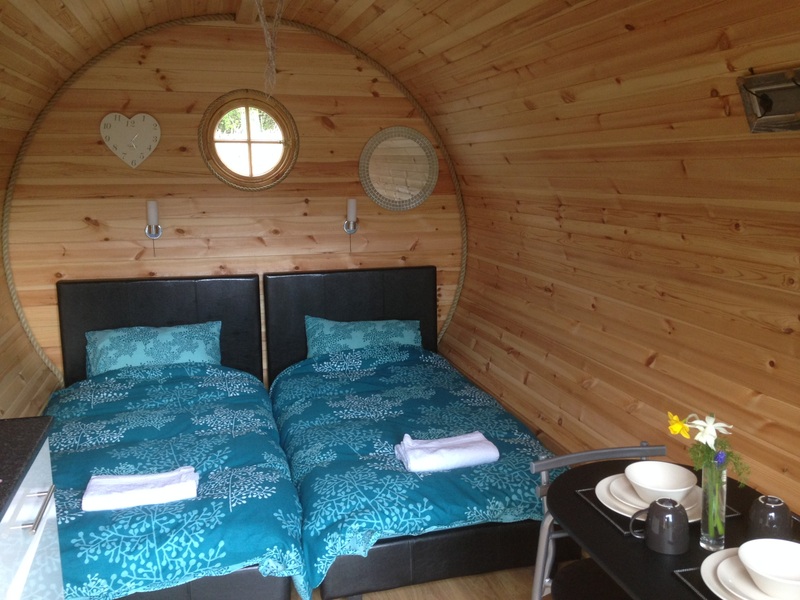 Contact us to book your camping pod now! 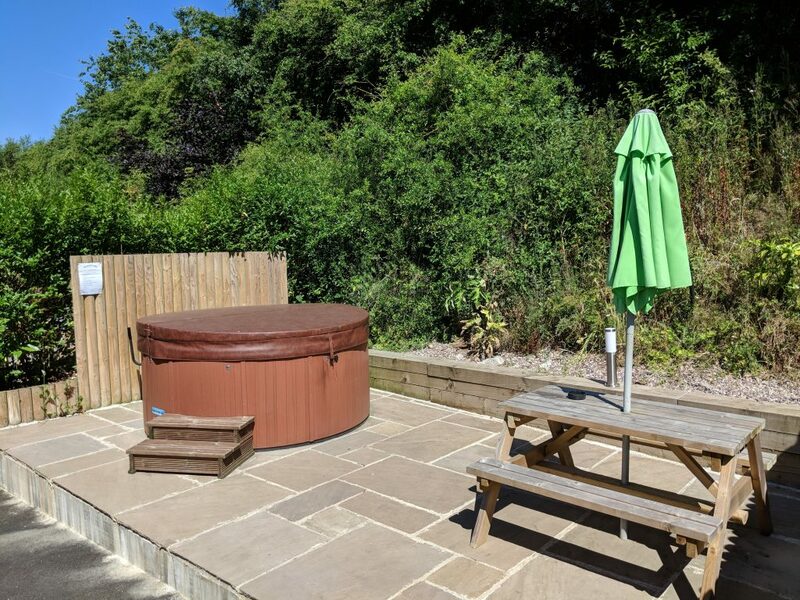 Hot tubs to be used by pod residents only. Adults only. No group bookings, no pets. No fire baskets or pits allowed in the pods area. A non refundable deposit of £100 required at time of booking.